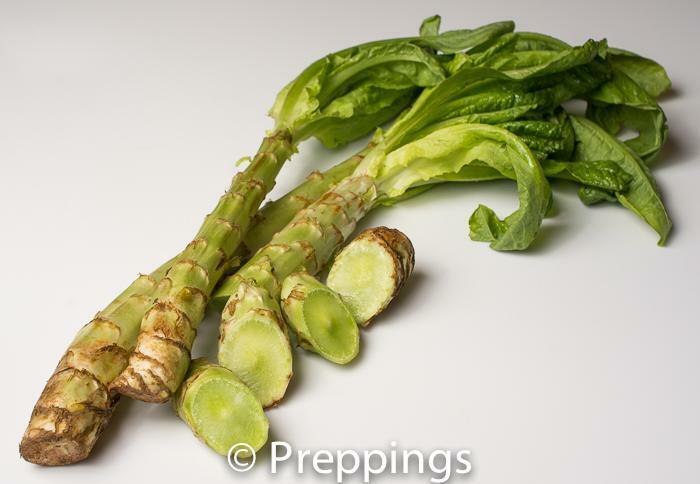 Celtuce Root, aka Asparagus Lettuce Root or Celery Lettuce Root, is a tuber-root vegetable that can be used in soup, stew, gratin, and a vegetable side dish. They have an earthy-mild-salty flavor and firm-woody texture. The top leaves can also be used for other applications.